Product #2313 | SKU BEUCA202 | 0.0 (no ratings yet) Thanks for your rating! The interface provides two analogue inputs and outputs, as well as an additional S/PDIF optical output for direct digital conversion. The stereo headphone output with dedicated level control allows for monitoring both input and output. 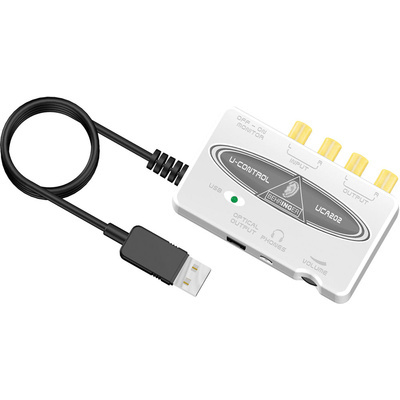 The U-CONTROL download area at Behringer's website offers a huge software package for recording and editing making the interface a complete audio solution, which provides a connection between the analogue and digital domain.